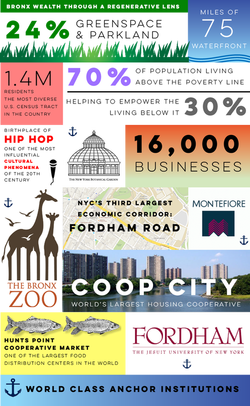 December 2015—In 2012 the Field Guide featured a story about The Bronx Cooperative Development Initiative, a project of the MIT Community Innovators Lab (CoLab) guided by a mission “to end generational poverty in the Bronx through shared wealth and democratic ownership.” BCDI has since evolved into a promising exemplar of truly regenerative, scalable economic development in progress, blending as it does the intuitiveness of a community’s grassroots with more formal systemic approaches to building lasting community wealth and well being, through its academic affiliations and the famed Mondragon Cooperatives of Spain. "In any community," says Sandra Lobo Jost, Executive Director of the Northwest Bronx Community & Clergy Coalition, "you have to start with the people and ask them, ‘what is it that impacts you?’ and ‘what do you believe are the solutions to those problems?" 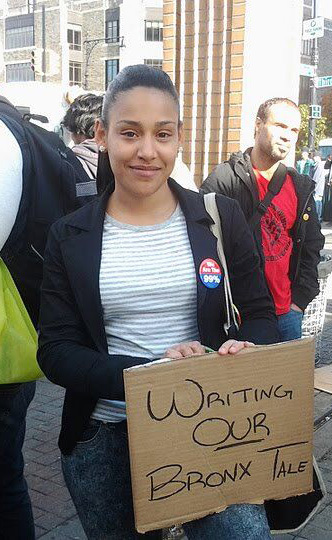 A deep bench of seasoned community organizing expertise represents one of the Northwest Bronx’s principal assets. It is one that BCDI continually draws on as it works with community organizations at the intersection of shared, sustainable wealth generation, and democratic engagement. 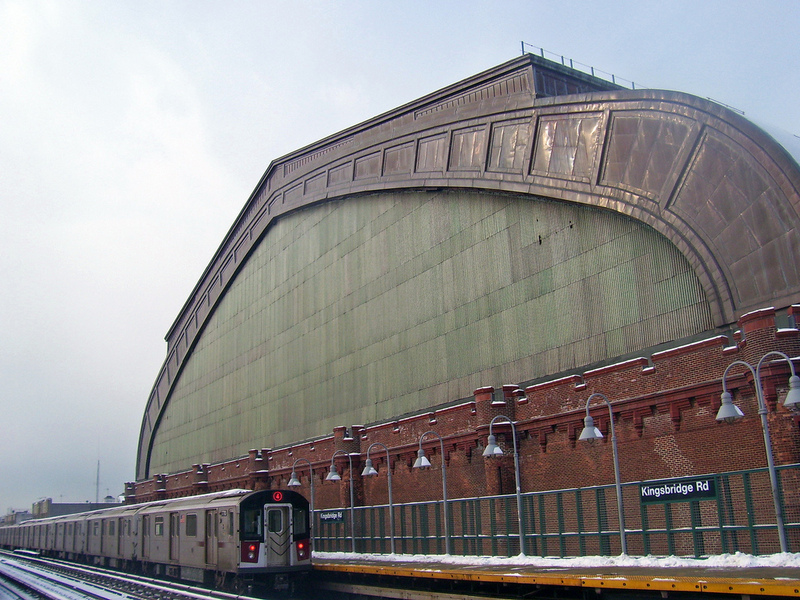 The long struggle to shape the redevelopment of the Kingsbridge Armory has deeply informed the collective organizing wisdom of the Northwest Bronx. In 2014, after a 20-year struggle with multiple administrations and developers, during which a series of ill-conceived projects for the armory were proposed and ultimately dismissed, the New York City Council green-lighted a $345 million transformation of the 3-block site into what is to be the world’s largest ice sports complex, the Kingsbridge National Ice Center. With that deal, the community, led by the Northwest Bronx Community & Clergy Coalition, secured one of the most progressive community benefits agreements (CBAs) in the country. “Over those twenty years the Northwest Bronx demonstrated both steadfastness and sophistication in the way it adhered to its principles,” reports Nick, who was himself an organizer in the community during the latter years of that struggle and who went on to earn a Masters in Urban Planning from MIT. “It went up against two incredibly powerful mayors—Giuliani and Bloomberg—and succeeded in preventing some truly negative developments, for example, the typical ‘poverty-wage mall.’ It also proved that it could create pragmatic, financeable development plans that were reflective of the wishes and needs of the community, and that it could negotiate and compromise when needed and necessary to secure the best outcome for the community. So we now know we have the strength to bring the city and developers to the table and the sophistication to develop meaningful, forward-thinking plans. Kingsbridge Armory at the No. 4 Subway line station. Photo credit Daniel Case. Sandra Lobo-Jost began cutting her teeth as a community organizer twenty years ago as a young activist attending Fordham University, located in the Fordham Bedford section of the Bronx. She went on to direct Fordham University’s Dorothy Day Center for Service and Justice, and this past summer was named Executive Director of the Northwest Bronx Community & Clergy Coalition (NWBCCC), an organization with a long history of organizing around community issues. Sandra explains that the NWBCCC helped put in place two separate monitoring groups to ensure that the Armory developers honor their CBA commitments: a community advisory council (CAC) that includes the developer, local Community Board 7, local Council members, and the NWBCCC; and a second legal entity made up of 25 community organization signatories that has the legal authority to enforce the agreement if required. These groups will also oversee the community space that is being created as part of the CBA. “We have achieved two objectives with this project,” says Sandra. “We have created a precedent- setting, enforceable community development agreement and monitoring groups with wide-ranging community representation. For us this is monumental.” The NWBCCC is also organizing to create a plan to address the expected negative collateral effects of the redevelopment, anticipating that rent increases could force local residents and businesses out of the community. “We want the people already living here to enjoy the benefits of this project, not others who displace them,” Sandra says. 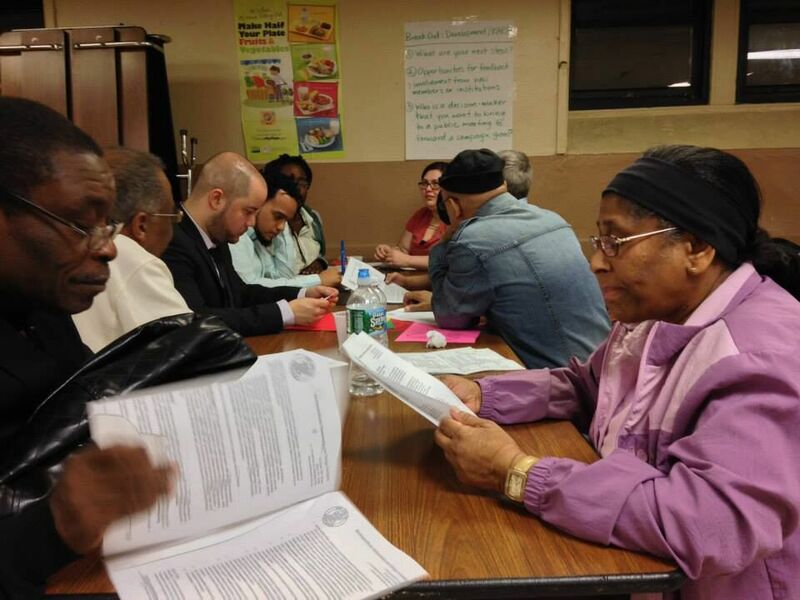 The Northwest Bronx Community & Clergy Coalition led in the securing of one of the most progressive community benefits agreements in the country for the redevelopment of the Kingsbridge Armory. 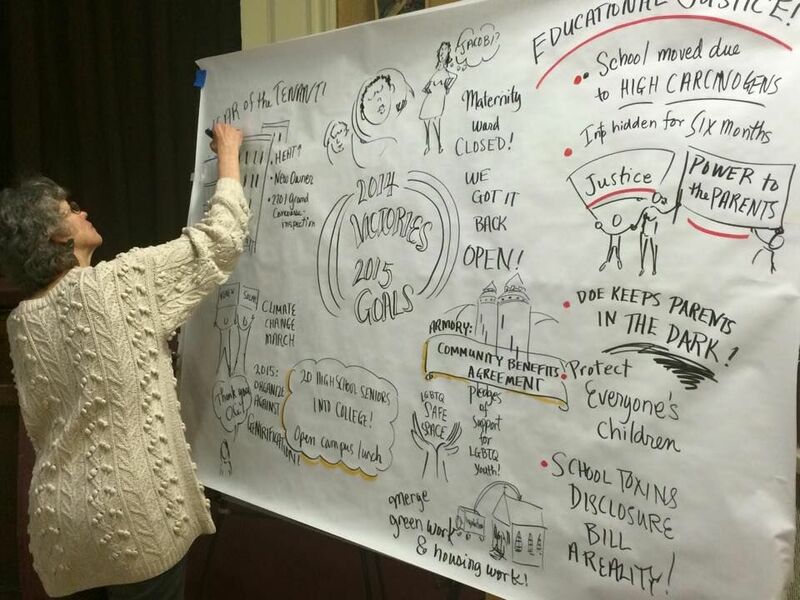 In partnership with other BCDI collaborators it is becoming an increasingly sophisticated player in grassroots economic development for shared community wealth building. 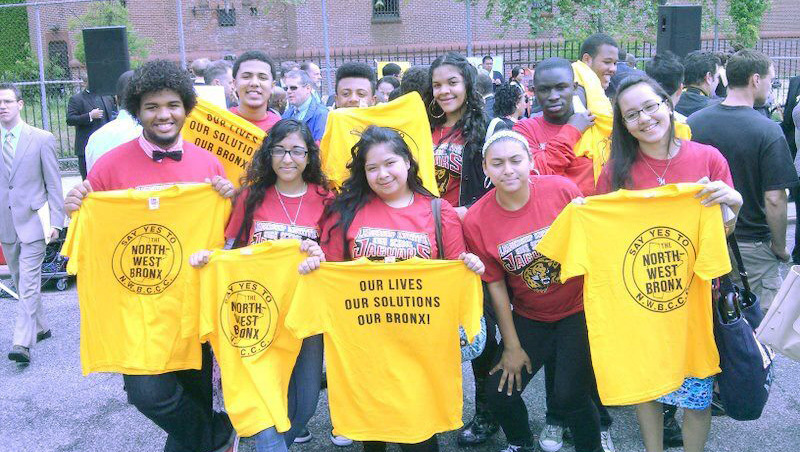 Leaders of the Northwest Bronx have proved they can create pragmatic, financeable development plans that are reflective of the wishes and needs of the community, and that they can negotiate and compromise when needed to secure the best community outcome. ​Over the past year, as its grant and other funding support base has grown, BCDI has expanded from a team of one full-time and one half-time employees to a team of seven. Building on the research of an MIT-CoLab-sponsored study conducted in 2012, BCDI’s economic development focus is now on the health, energy, manufacturing, food, and education sectors, leveraging the procurement needs of anchor institutions and medium-sized non-profits. BCDI is engaging first on two projects that use energy retrofitting as a way to catalyze the desired broader economic and social benefits that are BCDI’s focus. 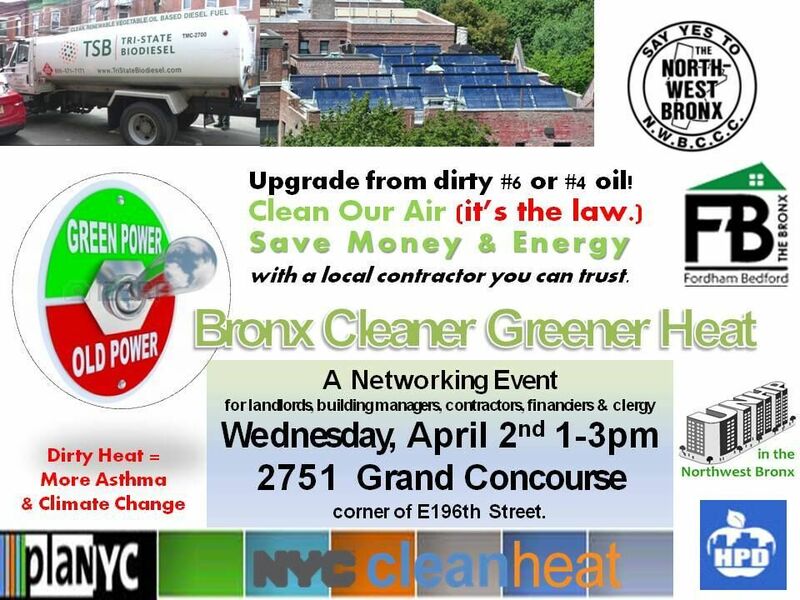 The first, Building Power--a partnership with the Northwest Bronx Coalition and Bloc Power, a cleantech startup focused on financing energy efficiency in low-income communities, employs local contractors to retrofit buildings housing Bronx faith-based institutions. Nick reports that many struggling local houses of worship are facing the threat of closure because of rising energy bills. “At the same time,” he says, “they are energy leaking sieves that are completely ripe for retrofitting and realizing real savings.” Sandra notes that this project engages churches and local institutions not only around environmental sustainability but demonstrates to their congregants how hiring local workers and contractors helps build wealth in their communities. It is an awareness, she believes, that the Building Power partnership can tap into as it seeks to activate the broader Bronx community around shared wealth and ownership goals. Another even more ambitious project is being supported by a grant recently secured from the Build Health Challenge, supported by national foundations, including the Kresge and Robert Wood Johnson Foundations, to catalyze meaningful partnerships among hospitals and health systems, community-based organizations, local health departments, and other organizations to improve overall community health. The Healthy Buildings Program is an example of how BCDI works to build partnerships tied into broader strategic goals for the community, including more cooperatively owned businesses. 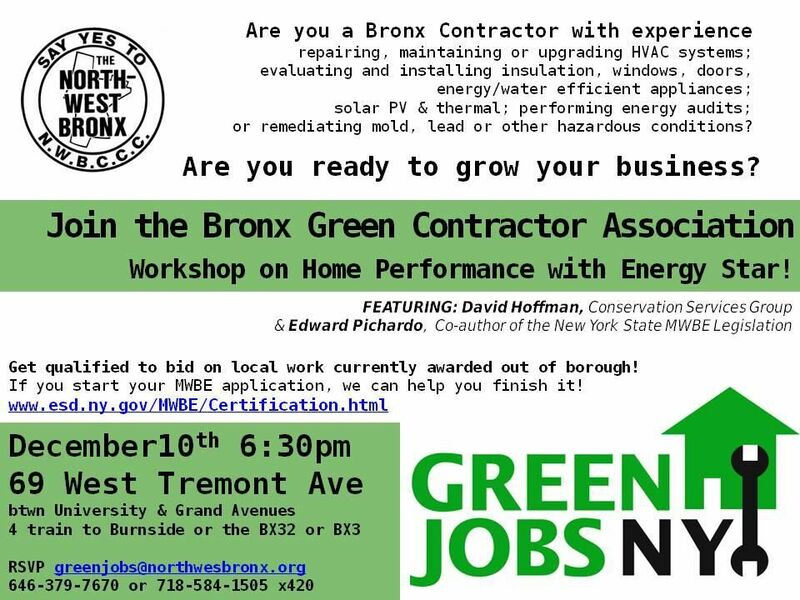 ​This project, called the Healthy Buildings Program, which will undertake both energy retrofits and environmental remediation in large multifamily buildings, illustrates the 7th Principle of a Regenerative Economy, “Edge Effect Abundance,” as a diversity of collaborators—among them local contractors, the New York City Department of Health and Mental Hygiene, the New York City Department of Housing Preservation and Development, the NWBCCC, local elected officials, landlords, and Montefiore Medical Center—all contribute their unique skills and resources. A methodical data gathering and integration process is currently being undertaken to determine which buildings are the best candidates for retrofits and remediation. Montefiore begins by contributing data about asthma hotspots—the buildings that have the highest rates of emergency room visits where asthma is the trigger. That data set is overlaid with data from NYC’s Department of Housing Preservation and Development (HPD) to determine the buildings with the highest heat and housing violations. HPD also contributes information from its database on which of those buildings are required by law to update their boilers. An analysis of all this information will ultimately identify which buildings to target. Tenants will then be engaged to gather more intelligence: have there been complaints of lack of heat and hot water, of mold, mildew and pest infestation? An outreach program to landlords to educate them about the benefits of retrofitting will also simultaneously be undertaken. “It is an innovative merging of all the different issues where we have traditionally been working in silos,” Sandra explains. The Healthy Buildings Program is an example of how BCDI works to build partnerships tied into broader strategic goals for the community, including more cooperatively owned businesses. “We hope we will scale the multifamily work and that will create a lot of work for local contractors,” says Nick. As Yorman Nunez relates, many local contractors would like to contribute to the health and and well-being of their communities but don’t always have the means to do so. " We believe if we can help them secure larger contracts and grow, those are the practices they will adopt and the things they will do in the community" he says. 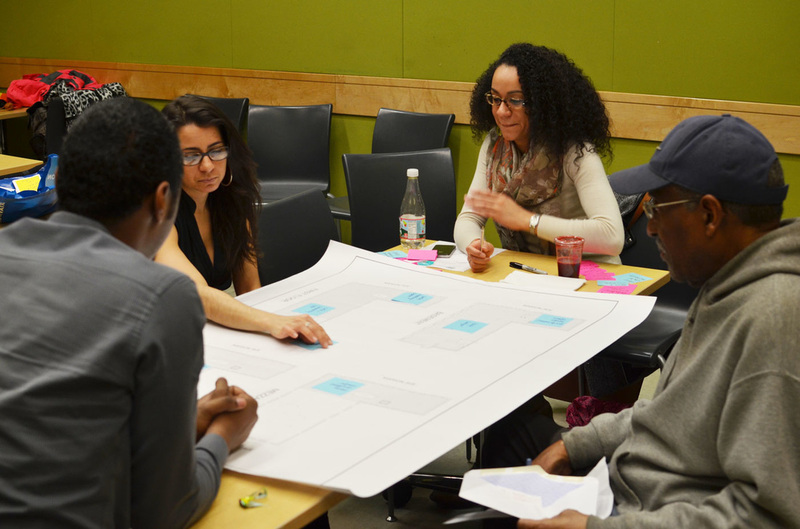 ​BCDI is also designing a vendor platform, to be beta-launched in the fall of 2015, that will connect the procurement needs of Bronx-based institutions with local businesses, again, with the goal of nurturing economic democracy and wealth building at scale in the borough. BCDI has interviewed both small contractors as well as large anchors and medium-sized nonprofits to poll their interest in this platform. Initially about 150 small Bronx-based businesses and between three and six anchor institutions will be participating. As part of this project, BCDI has worked with B Lab and community partners to create a rating system to assess and monitor over time the labor, sustainability, and community wealth building practices of all the companies on the platform. “Many of these small businesses are undercapitalized or don't have access to the right purchasing channels, so can’t meet the standards right now,” says Nick. “If they score low and still want to participate they have to commit to a serious plan for improvement. We will use that as a way to line up existing sophisticated business development services that can work with them to make that progress.” BCDI hopes to establish a Community Innovation Center that will house entrepreneurial, business development, and financing functions to support this effort. Like BCDI, the platform now operates under the umbrella of the not-for-profit Commonwise. The hope is that it will eventually become self-funding, and begin to contribute a sustainable revenue stream to support future BCDI economic development projects. The new platform represents a more evolved incarnation of an earlier planned incubator for startup entrepreneurial and cooperative enterprises, that fell victim to the winding down of the Bloomberg mayoral administration at the end of 2013. In retrospect, Nick says, that initial setback turned into an opportunity, creating the breathing space for BCDI to conceive a wiser strategy more closely aligned with its regenerative vision. “Losing the incubator contract with the City also made us step back and think hard about what it meant to have a holistic economic development strategy that wasn’t just about creating businesses." Nick notes. BCDI is realizing the power of good data gathering and analysis on this project, as it has for the Healthy Buildings Program, undertaking extensive data gathering and integration from a variety of disparate sources. While time-consuming on the front end, this deliberate process is enabling BCDI to understand all the dimensions, complexities, and applications that will be required of a fully automated digital platform. It will ultimately provide invaluable gap analysis, in particular, insights into opportunities for startups in the case where no local service providers currently exist. Yorman reports, for example, that the platform will be gathering data from participating anchors about their transportation and delivery needs, needs that might one day be fulfilled by a Bronx-based and cooperatively-owned green fleet/logistics company. The prototyping process is also providing intelligence about what services small business need to increase their competitiveness, for example, back office and accounting services to provide digital invoicing to anchor institutions. Another service gap identified is the need for financial services products to address the mismatch between the short-term cash flow needs of small businesses and the longer, 120 to 180 day payment cycles of the typical larger institution. Yorman also expects that in time the vendor platform will be a place where small businesses contract, not just with larger anchors, but also for one another’s services. 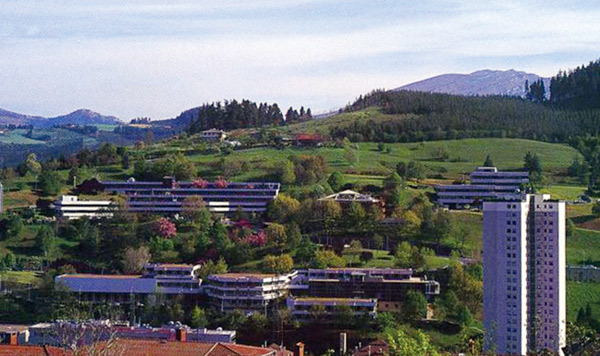 ​Nurturing cooperative forms of ownership continues to be BCDI’s medium- and longer-term goal. The vendor platform will provide a way to identify existing businesses that are ripe for cooperative conversion as well as a place where new cooperative businesses can be incubated. “A lot of the small businesses we work with want to pay higher wages and offer better benefits,” he explains. “They have dreams of creating scholarship funds to help kids in their community go to college. Nick Iuviene (center), BCDI's leader of long-term strategy, says the organization is about addressing short-term community needs in a way that gets at their root causes. "We do need experts in the field to help support the process," says Sandra Lobo-Jost, "but the solutions need to come from the people themselves." ​BCDI is now administering an ambitious “train the trainers” project for community leaders as a first step to delivering an economic democracy curriculum borough-wide. This program began with training 50 grassroots leaders on economic democracy and now is beginning to develop trainers based in community organizations. For the pilot phase of this program a cohort of 8 organizers and leaders in two community organizations are participating. “This curriculum is helping local residents with community organizing experience develop a framework for participating in a meaningful way in economic democracy,” says Yorman. “I think we will start to see a shift in how community organizing associations do their work and a shift in how these groups fight for change. And we will start to see a lot of ownership dimensions being included in the discussion.” The 10-module curriculum is being filmed and will be available online on an open source platform. “Mondragon begins this education process in preschool,” Yorman reports. 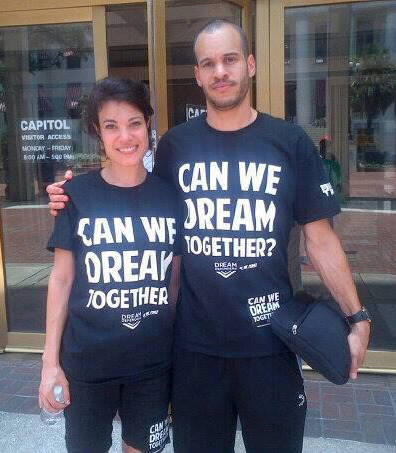 “They have curriculum that gets children to start thinking about what it means to work together, to be in a democracy. 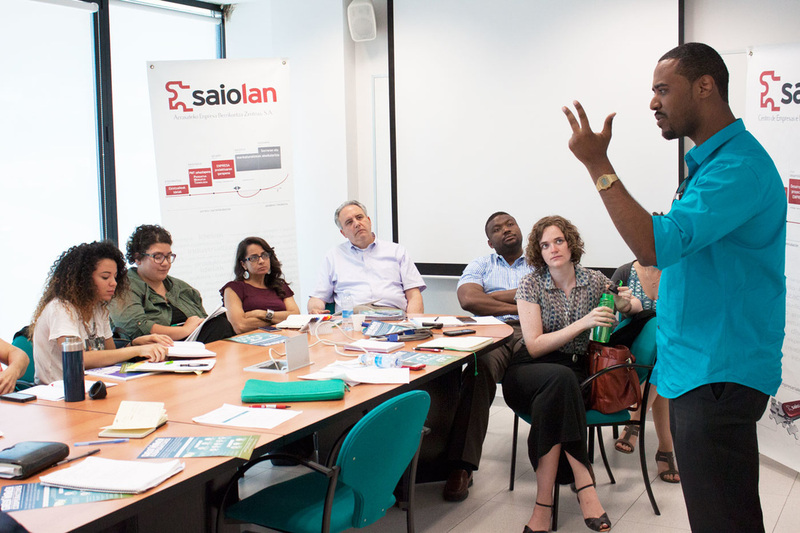 This past spring BCDI organized a visit with 25 Bronx stakeholders—including representatives of anchor institutions, and civic, small business, labor, and local government leaders—to the Mondragon Cooperatives in Spain. ​All the work going on inside BCDI is about mining the often-unrecognized wealth of human resources that are housed in the borough of the Bronx. “We are starting from the basis that we may be statistically poor, but we are rich collectively,” Nick maintains. “And we need to find a way to harness that.” That's where the Eighth Principal of a Regenerative Economy, "Empowered Participation," gets invoked. “In the Bronx,” says Sandra, “we have a history of organizations that have been fighting against bad policy and bad development, but we have not come together and asked , ‘how can we create development through a long term strategy that coordinates planning with all stakeholders—banks, businesses, residents, government?” BCDI’s deep roots in the community and access to cutting-edge academic knowledge bases and resources in urban planning, at MIT and locally, powers these efforts. 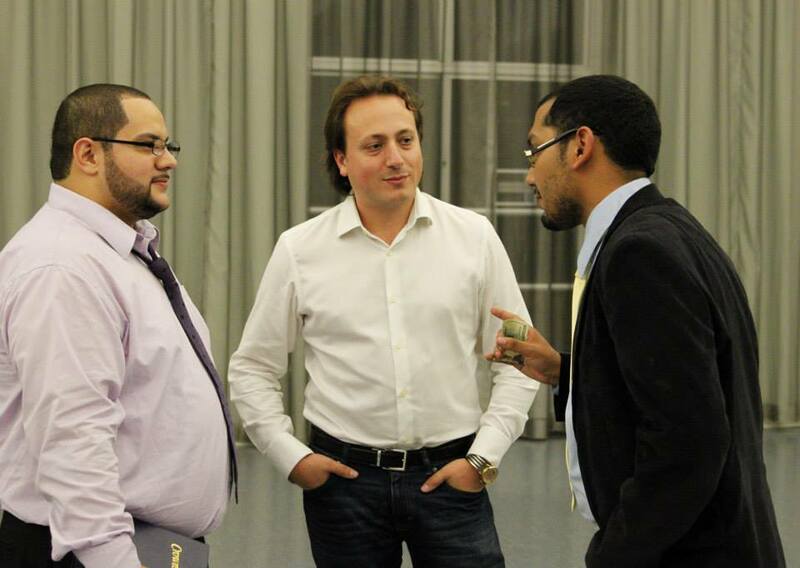 Yorman Nunez, far right, leader of education and stakeholder engagement at BCDI, at a meeting with Bronx stakeholders during a trip to Spain to visit the Mondragon Cooperatives this year. “We learned from Mondragon facilitators and then we had sessions where we just gathered alone to plan together what can be possible back home,” Yorman relates. Sandra Lobo-Jost facilitating a Bronx community design visioning session. We believe at BCDI that development and planning should be done by those most impacted. Organizing must be at the core of this vision, of this work together. Those most impacted know the solutions, what needs to happen in their community and what needs to change to create health and wellness in their community. All photos unless otherwise noted, courtesy of the Northwest Bronx Community and Clergy Coalition.